The golf team made the state tournament for the first time in, well, a long time. 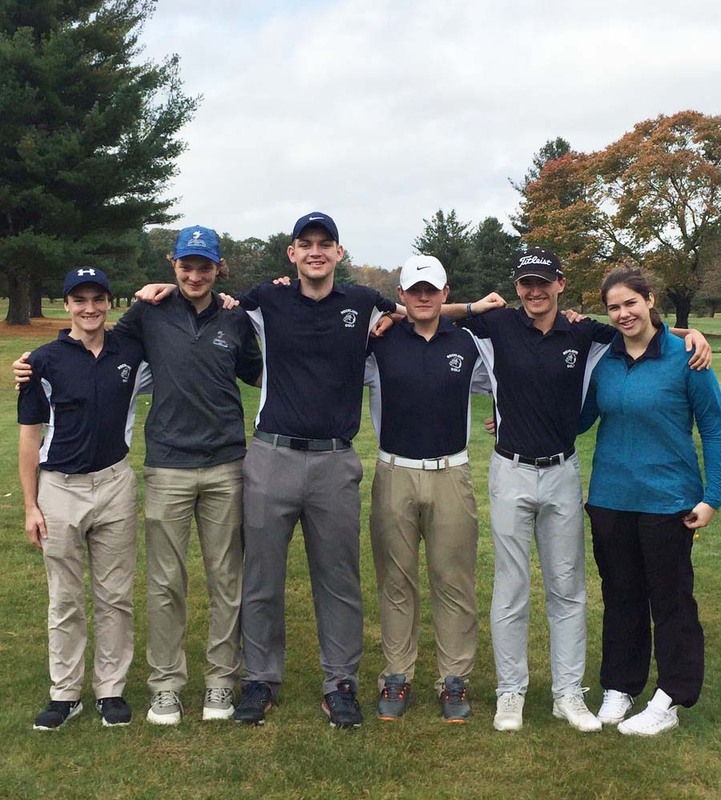 With solid play from Captain Aiden Glennon and Jake Johnson along with teammates Erik Wahlstrom, Evan Gormley, Chase MacDonald and Peter Kohler, the golf team racked up an 8-8 record. This was just enough to make tournament and no one was happier than the players. “I thought this year was a huge success. I’m very happy with how strong the team was and how successful we were,” said Johnson. For any team making tourney is a huge deal, but for this team, in particular, it was special for a couple reasons. One reason, of course, is that it has been over 20 years since the golf team had made the state tournament. But it was also special because their work ethic and attitude. Everyone seemed to be very excited and proud of the season that they had and making the tournament. When asked about the tournament experience, Glennon had quite a few things to say. “The tournament experience was fun, for lack of a better word. All six of us showed up with the mindset to appreciate how far we made it and enjoy the round of golf, and I feel that’s what we did,” said Glennon.